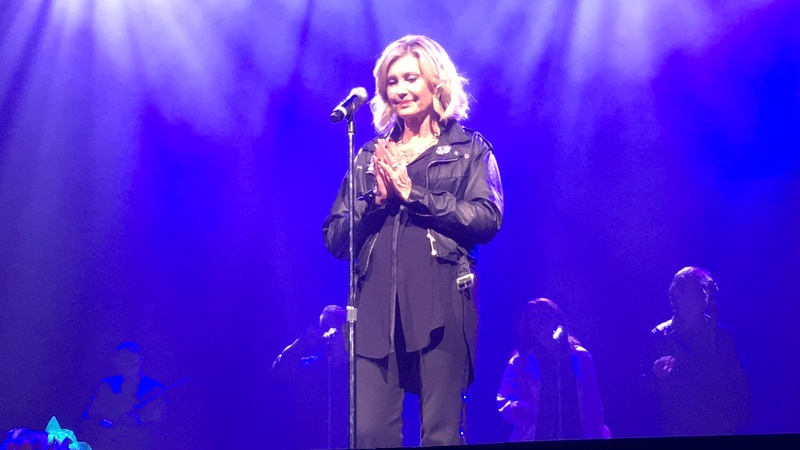 The Olivia Newton-John concert last night at the American Music Theater in Lancaster, Pennsylvania was an unforgettable, fun, heartwarming, funny and nostalgic experience. I had the time of my life at Olivia’s last show of the tour. Olivia is still as beautiful and gracious as ever – and she still has her pipes! The hour and a half set list included most of her hits, all of her movies and all of the different genres of her music. It was a show that spanned Olivia’s entire career, and what a show it was! 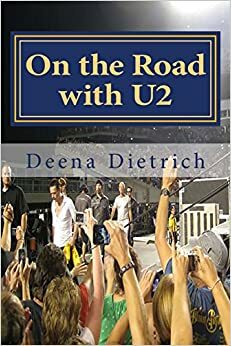 I was a little late to the party – just finding out a few days prior that my first passion/obsession (since I was five years old) was going to be playing a concert less than two hours from me. (I thought Olivia was only doing a residency in Vegas – I did not know she was also touring.) Before Elvis and before U2, there was Olivia Newton-John for me. As soon as I saw Grease when I was five years old, I started an Olivia scrapbook and cut out every article I could find about her, listened to her records (my favorite was and still is Totally Hot and watched her movies. I would say Olivia’s was the only music I truly listened to until I was 10 years old. I left my house just before 4pm yesterday, got gas and was in Lancaster by 5:30 for the 7pm show. I tailgated at Panera next door, which basically means I got a tuna melt and iced tea and sat at a table by myself to eat. I was parked and waiting for Olivia by the tour buses by 6pm. There were about 10 people also waiting, including Gina and her daughter (my new ONJ friends). Olivia was obviously already inside as it was just an hour before the show. The tour manager came out to collect items from fans so Olivia could autograph them as she was not coming out before the show. I did not give him my Grease tee shirt from when I was 5 years old that I had with me because I want to meet Olivia and have her autograph bring back the memory of meeting her. I decided I would come back after the show to try to meet Olivia. I was in my seat, my front row center seat, by 6:20 as soon as the doors to the theater opened. I couldn’t believe how close I was, and the stage was only barely waist high. I could see her teleprompter from my seat. The closer it got to 7pm, the more butterflies I had. I was just SO excited to see Olivia Newton-John THAT close! Although, I don’t think everyone was quite as excited as I was. The couple next to me was googling Olivia and reading her biography. How could they NOT know who Olivia Newton-John is?! Olivia took the stage at 7:10pm opening her show with “Magic” (from the movie Xanadu) and then went straight into “Xanadu.” During the song, I was of course doing the Xanadu “X” as Olivia had done in the movie – crossing my arms above my head. Olivia saw me and did the “X” back to me. I know performers usually cannot see out into the audience, but the folks closest to the stage are usually illuminated – and those of us in the front row last night were and Olivia could definitely see us. Side Bar – apparently I have some connection with “Xanadu” and Lancaster. It was in 2012 also in Lancaster, Pennsylvania where Lisa Marie Presley and I sang “Xanadu” together. Lisa had invited some of the fans to a little after party with her and the band downstairs after her concert. A lot of 70s and 80s music was playing, and we were all just sitting around a long table drinking and talking and singing along. “Xanadu” came on and I started singing and Lisa started singing, but no one else was singing. Lisa and I locked eyes and were singing “Xanadu” together. Lisa then came over and sat next to me, and I proceeded to tell her how much I loved Olivia Newton-John. Lisa said she also loved Olivia. 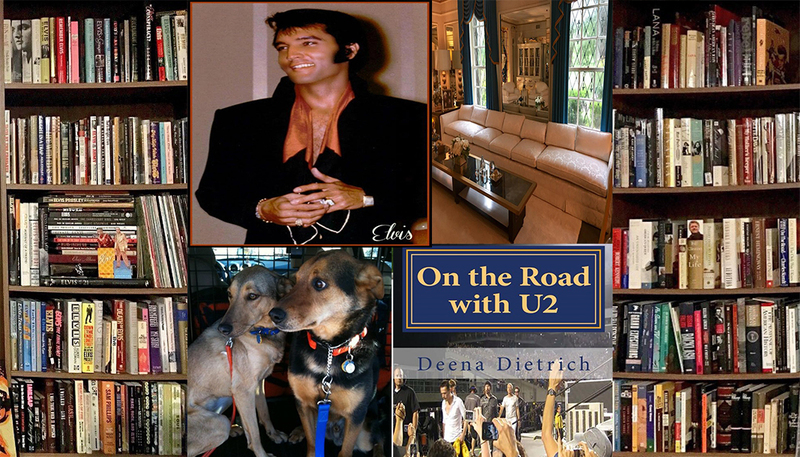 “Deeper Than the Night” (off my favorite album Totally Hot) and “Suddenly” (from Xanadu) followed. I am not sure why “Deeper Than the Night” was put in between the songs from Xanadu, but I am not complaining because any song off of Totally Hot is great with me. Olivia gave a cheers to the audience and then launched into a medley of three of her hits: “Make a Move on Me” (from the Physical album), “A Little More Love” (from Totally Hot and probably my favorite Olivia song) and “Twist of Fate” (from the movie Two of a Kind). I was a little disappointed I didn’t get to hear all of “A Little More Love,” but I have heard it in concert before. It was now time for GREASE, so I got my tiny tee shirt ready to hold up. Olivia and her back up singers sang four songs from Grease: “You’re the One That I Want,” “Hopelessly Devoted to You,” “Summer Nights” and “We Go Together.” “You’re the One That I Want” was lots of fun, but of course not the same without John Travolta. “Hopelessly Devoted to You” was exquisite. “Summer Nights” was not only a fun recreation of the scene from Grease, but also provided the funniest moment of the night – cracking up Olivia Newton-John. At that quiet moment toward the end of the song when they both sing “oh,” someone in the audience screeched “OOOHHHH!!! and Olivia about fell over. They restarted the song from that point and she motioned for the whole audience to sing “OH!” – it was great! The main set closed with “We Go Together,” including a “Hand-Jive” dance off with the audience during which Olivia’s female backup singer saw my tiny Grease shirt and gave me the thumbs up. I held up my hand indicating I have had this shirt since I was five years old. She motioned back a signing gesture as if maybe Olivia would autograph my shirt after the show. While her band remained on stage, Olivia went back stage to change into a gold lame gown. She told everyone how thankful she was for her great life and sang “Grace and Gratitude.” After, we gave her a standing ovation that brought Olivia to tears. She then sang “I Honestly Love You,” which brought me to tears (and more tears as I am writing this remembering that feeling last night.) Everyone took their bows and left the stage. Olivia and her pianist came back out and she sang “Somewhere Over the Rainbow” as sweetly as Judy Garland. At 8:45pm the fantastic Olivia Newton-John show had come to an end, so I quickly ran outside to again stand by the tour bus to wait to finally meet Olivia Newton-John – me and about 50 other people. About an hour later, the nice tour manager from before the show who had gotten all those autographs for everyone kindly told us Olivia would not be able to meet with us since there were so many of us so we had to leave. About half of the people or more left. The rest of us, including Gina and her daughter, stayed. Just before 10:30 the nice tour manager came back out and yelled at us to leave – the rest of the crew and band were really nice to us even though we were standing there. I am not sure if anyone got to meet Olivia last night because I left after that, but she had to leave sometime – Olivia Newton-John was not spending the night inside the American Music Theater in Lancaster, Pennsylvania. I listened to Olivia all the way home after the show. It is funny because most people talk about how seeing Olivia in concert brought back memories of their childhood, and it does for me too but I still listen to her songs and watch Grease regularly. When I listen to Olivia’s songs now on my ipod, I still here the skips in the records especially the songs from Grease, Totally Hot, Physical and Xanadu – records I played so much that they have tons of scratches and skips. I arrived home just after midnight, which I could have been home by 10:30 had I not waited but I had to try to meet Olivia – five year old Deena had to try! I never intended to make a video from the Olivia Newton-John concert last night. Because we weren’t allowed to take video, I was just taking a few second snippets of each song so I could remember the setlist rather than typing it on my phone looking like I was texting in the front row. But I ended up getting all of Olivia’s speeches and caught a REALLY funny moment as well as more than a few seconds of each song, so I am sorry you can’t hear the songs in their entirety but I was living in the moment and enjoying every second of this wonderful show! I just took little video snippets of each song, keeping my phone in my lap angling it toward the stage, so I could keep remember the order of the songs. To see my photos from Olivia in Lancaster, please click here. I think as a blogger and author you should have a proof reader! Re-read your story of Lisa Marie, case in point. I doubt I would publish or even buy your book(s). Wow Linda sorry for all your hate. I did proof read my blog post. I blog and write like I talk. It’s more a journal than anything else. My book has sold pretty well and lots of folks have liked it. I appreciate constructive criticism, but there is a better way to do it. Maybe next time you could leave your contact information instead of hiding behind a computer.